Born in Minneapolis, MN, Nancy Stark wound her way from the Midwest to the east coast where she received her art education from the College of New Jersey. She is both a fine artist specializing in landscapes, as well as a certified art educator and instructor. For over 35 years, Stark has been the owner of Stark Designs, providing faux and decorative painting, sign and furniture painting, set design and color consulting to individuals and organizations in and around the Hopewell Valley. Her fine art works, hand-painted signs and custom painting can be found in private homes and businesses throughout the Valley, and her murals and restoration painting are in the Kalmia Club in Lambertville and Drumthwacket, the official residence of the Governor. 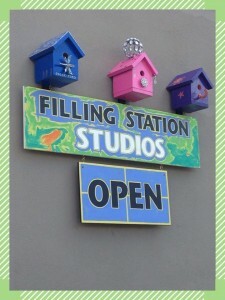 Most recently, Stark opened Filling Station Studios in Hopewell, a small art cooperative featuring upcycled, hand-painted furniture, custom signs and painting workshops, as well as decorative and vintage home, kitchen and garden décor.